It is the age of the sceptic and don't we know it as they attempt to impose their way of thinking on the rest of us in not only the domain of cryptozoology but matters far and wide where they think theirs is the superior intellect. However, one name I thought had retired to his armchair with his slippers and pipe is Ronald Binns. Nessie fans will know him well for his less than satisfactory book from 1983, "The Loch Ness Mystery Solved", which failed to live up to its title as it descended into a diatribe of exaggerations, misrepresentations and dubious interpretations. 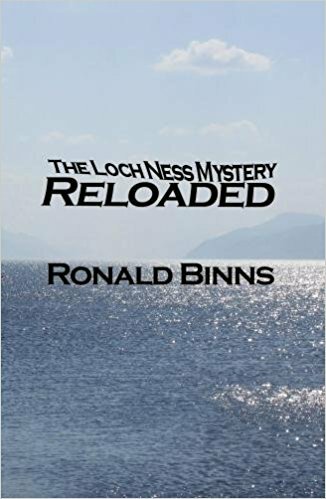 On the fiftieth anniversary of the local newspaper report which made the Loch Ness Monster world famous, Ronald Binns published his classic but controversial book The Loch Ness Mystery Solved. Over three decades later it remains both influential and a source of fierce debate. In this new book Binns takes a fresh look at Nessie in the light of later evidence and recent analysis of the classic photographs and film. He considers the relationship between the Loch Ness Monster and the water kelpie tradition of Scottish folklore. He also scrutinises the role played by central figures in the Loch Ness story such as Rupert Gould, Tim Dinsdale and Ted Holiday. 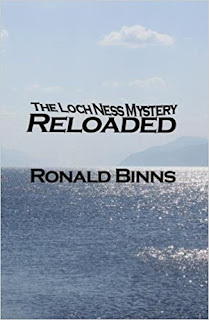 Ronald Binns is a former member of the Loch Ness Phenomena Investigation Bureau. He has made numerous visits to the loch in search both of the Monster and a greater understanding of this enduring phenomenon. This is the latest book in a line of recent sceptical works will be released on the 8th August. That line includes Loxton and Prothero's "Abominable Science" (reviewed here), Tony Harmsworth's "Loch Ness Understood" (reviewed here) and Darren Naish's "Hunting Monsters" (reviewed here). That will be four sceptical books in seven years, too frequent in my opinion. They have all so far pretty much said the same thing and rehashed the old arguments but added more ridiculous ones such as the swan interpretation of the Hugh Gray photograph. I wait to be surprised and will post a review in due course (though that may unfortunately involve buying the book).